Submitted by BMWKT on Tue, 06/01/2010 - 12:50.
and the black the police. Seems there was another but slipped my mind. Do you have any idea what the couriers bags are worth? Submitted by BMWR12 on Sun, 03/27/2011 - 00:41. They used what was there. I have never seen black bags in a wartime photo. Submitted by guest on Sun, 07/22/2012 - 03:23. I believe that the brown bags turn almost black over time with aging and oiling and dirt. Those old black and white war time photos maybe just make the old leather bags look black. My R12 has Metal boxes.. The hurt when you walk into them or have the bike lean on your leg. I prefer the Leather for that. I think the metal boxes work better when a side car is attached. Submitted by guest on Mon, 10/22/2012 - 08:20. Very cool pictures. BMW R12 has got all the tough features of a military bike. Please post the features associated with this bike. 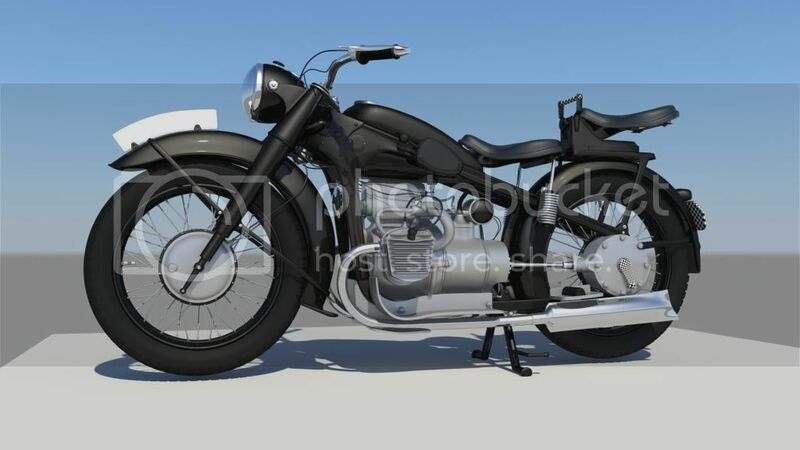 Am a huge admirer of BMW bikes and would love to know about BMW R12 as well. Looking forward to get more such nice posts from you. Please keep posting. Submitted by guest on Wed, 11/28/2012 - 14:09. 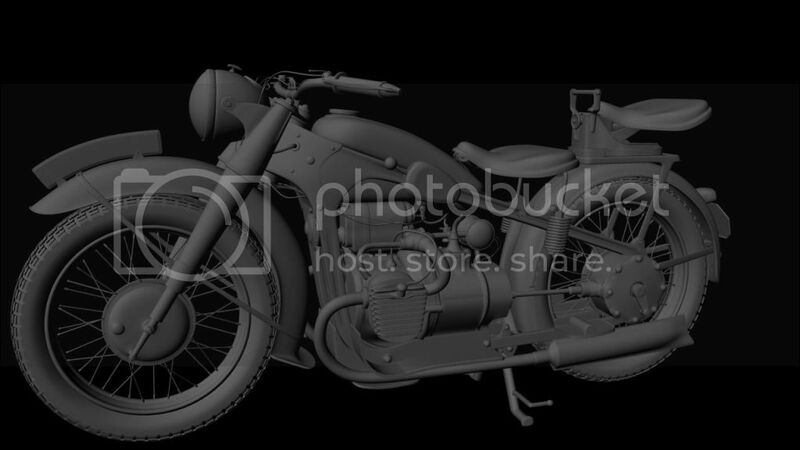 Hi I used this photographs for references while I was modeling the BMW R12. After finishing the modeling part I need to star texturing and that is why I need some detailed pictures so I can use them as texture files. Is there any chance that you can point out someone who owns this kind of motorbike in London area, please, so I can goo and take some pictures of the different details. Thanks in advance and here you can see the model I did so far.